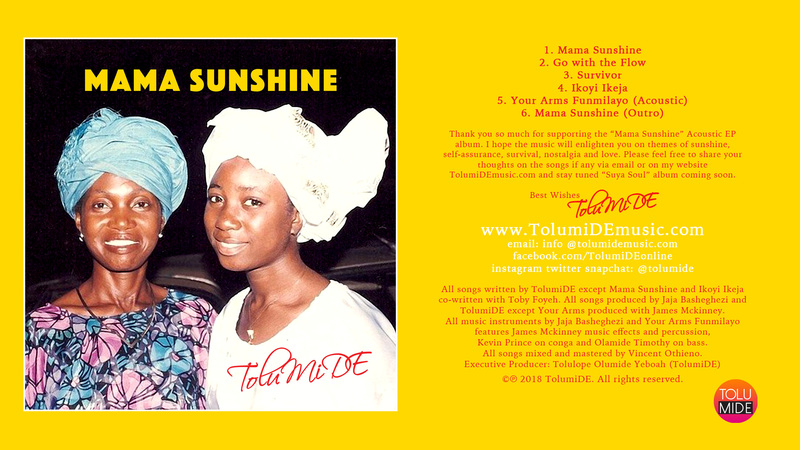 Nigerian Soul Singer-Songwriter TolumiDE has released the Artwork Design for highly anticipated “Mama Sunshine” acoustic EP album, unveiled as a well rounded cultural experience as she sings in English and her native language Yoruba and partnered major African talents – Jaja Basheghezi (Congo) and Toby Foyeh (Nigeria), who co-wrote Mama Sunshine and Ikoyi Ikeja”. Listeners journey through themes of encouragement, self-assurance, survival, nostalgia and love in an extended acoustic version of Your Arms Funmilayo produced with James McKinney. 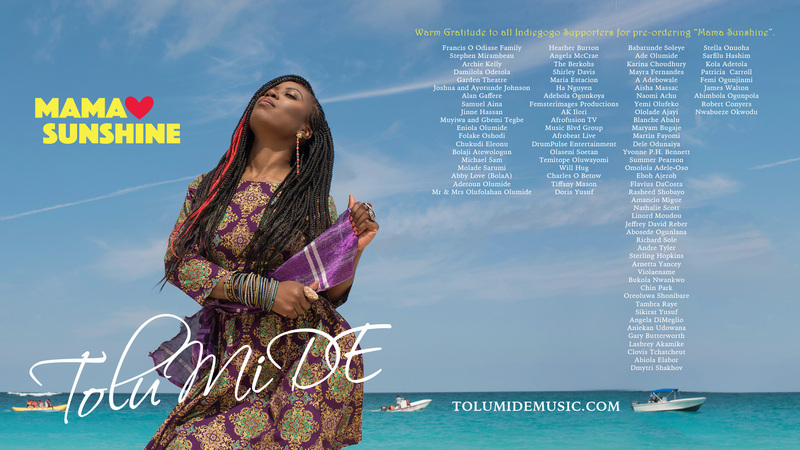 TolumiDE says “the songs featured share hopes and realities of living as a women and an African in diaspora”.